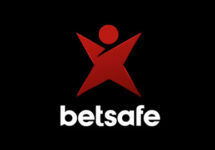 Betsafe – Summer of Games / Final Week! Dive, dash and splash to win your share of 1,000’s of Free Spins! We are heading into the last week of this awesome summer campaign at Betsafe. That means nothing less than more players earning or winning Free Spins, Big Spins and a share of €10,000. Keep taking part in the Summer Dive, Summer Dash and Summer Splash tournaments to collect as many rewards as possible. 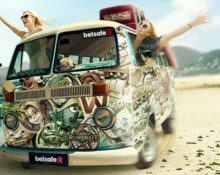 Massive “Summer of Games” campaign at Betsafe, running until 3rd August 2017. Tons of Free Spins, BIG Spins and Cash will be going to participating players. On offer are wager rewards, cash tournaments and races for the highest equalized win. OPT-IN is required only once to take part in all promotions of this campaign. Customers residing in Belgium, China, Greece, Malaysia, The Netherlands, Portugal, Romania, Ukraine and Canada, or who have Canadian Dollar as their registered currency, are not eligible to take part in this promotion. Wager a minimum of €200 on the qualifying game every day, from Friday to Monday to instantly receive 50 Free Spins on a selected slot and an invitation to an exclusive Summer Dash Cash Race on Tuesday. Free Spins can be earned every single Summer Splash day. Wagering requirement for the Free Spins is 35x FS winnings within three days. Only players that qualified from the Summer Splash promotion will be invited for the Summer Dash Cash Race with instant random cash drops ranging from €20 – €1,000. The race runs every Tuesday between 18:00 0 23:59 CET. Only cash bets at minimum €0.20 qualify for this promotion. All prizes are instantly credited in cash, no wagering requirement. An in-game race tab displays remaining prize pool and time. Two-day race for the highest equalized coin win over 20 consecutive spins on selected slots. A minimum of 20 rounds with a minimum bet of €0.20 have to be played in order to qualify for the tournament. All tournament winnings are paid out on Fridays by 18:00 CEST. BIG Spins are at €1.00 value each. Wagering requirement for the Free / BIG Spins prizes is 35x FS winnings within three days.